The latest Dawlish Chronicles free short story, Britannia’s Fist, is set on the Caribbean coast of Columbia in 1862 as a vicious civil war is petering out. (Details on how to get a copy are at the end of this article). A key role is played in this story by a 900-ton wooden gunvessel, HMS Foyle. One tends to think of the Royal Navy in the mid-Victorian era as consisting of large ironclads, armoured successors to the ships-of-the-line that had dominated warfare in the Age of Fighting Sail. Such huge ships represented the core of Britain’s two main naval forces, the Channel and Mediterranean Fleets, but they were few in number compared with the swarms of smaller gunvessels and gunboats which undertook an almost endless variety of tasks across the globe. 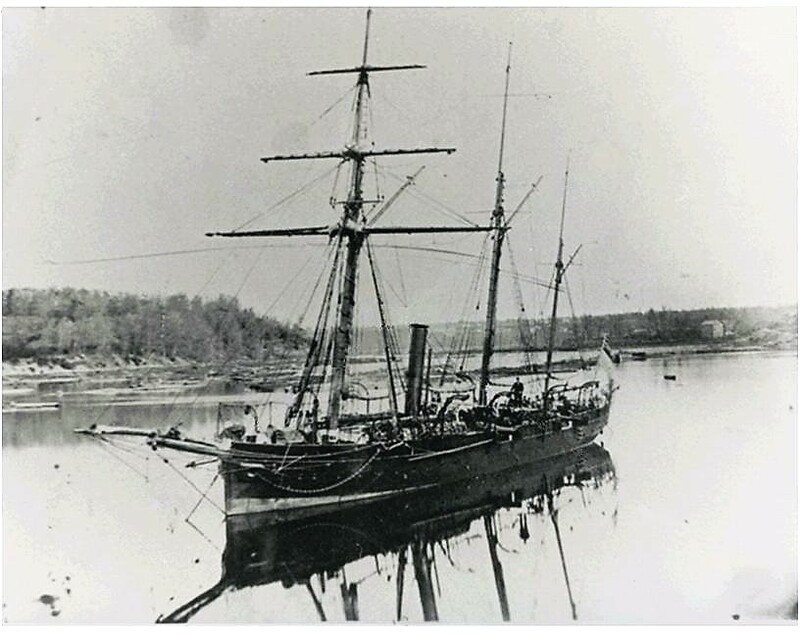 Gunvessels were still wooden-hulled in the 1860s, and they were intended for shore-bombardment, and for landing of small armed parties either for raids or to quell local disturbances. 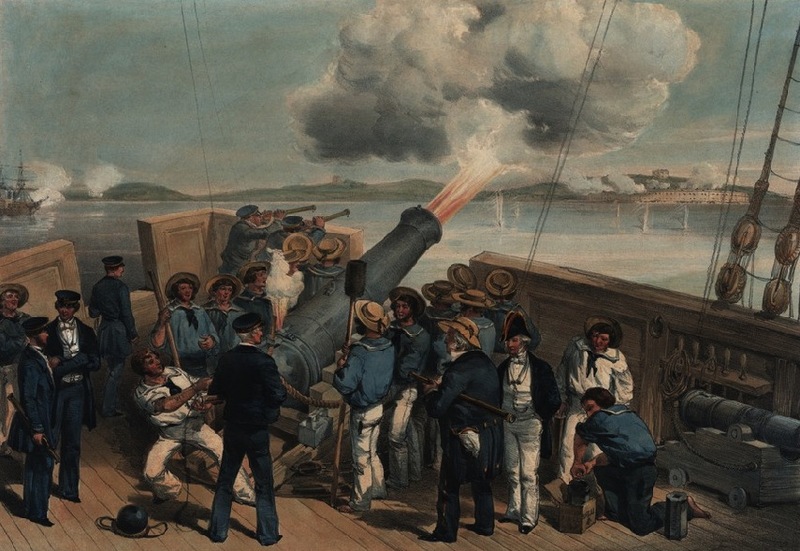 They were not designed to fight other warships and the type had come to be defined during the Crimean War (1854-56) in response to the need for small, shallow-draught, powerfully-armed vessels suited to inshore work. 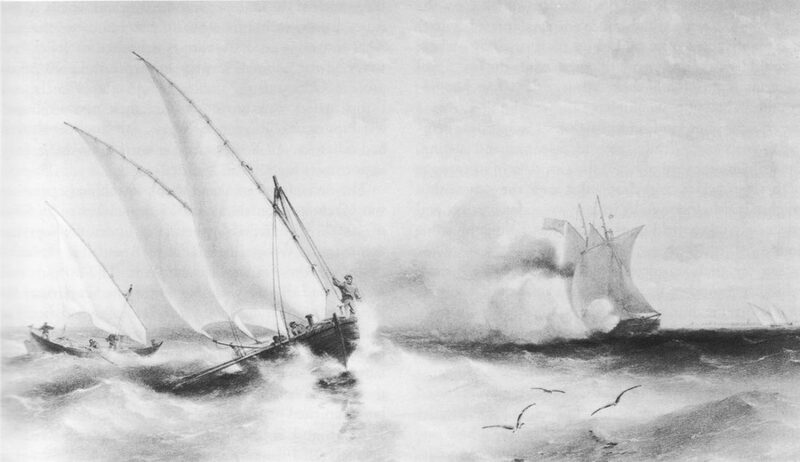 The typical “Crimea Gunvessel” – which was to see battle-service in the Baltic, the Black Sea, the Sea of Azov, and the China Coast in the years 1854-60 ranged in tonnage, depending on class, from 450 to 850 tons, depending on class. Main armament was typically two 68-pounder muzzle loaders. Smaller units, classed as “Gunboats”, were in the 200-300-ton range, typically armed with a single 68-pounder and a 32-pounder. Sail-provisions, as well as steam-engines driving screws, were provided in all cases, an essential feature for making such units independent of reliable coal supplies in remote locations. In some classes the propellers could be hoisted from their shafts to lessen water-resistance when under sail, and funnels could also be telescopic. A shift from sail to steam power demanded the command “Up Funnel, Down Screw!” There were in addition small number of paddle-gunboats, a type going out of fashion rapidly due to the vulnerability of their paddle wheel. The challenge of managing these enormous numbers – in providing supplies, crews and maintenance facilities on a worldwide basis – must have been daunting in the age before computers were available. One cannot but be impressed by the administration achievement. A notable feature of these ships was that the names assigned to them were often whimsical or even bizarre. Many are called after birds or animals – Redwing, Skylark, Goldfinch, Hyena, Bullfrog etc. – but the idea of calling a warship Clown, Pert, Cheerful, Fancy, Tickler or Coquette is strange to say the least. One can imagine cynical Admiralty clerks or mischievous junior officers slipping in such names when their superiors have growing weary of the task of naming a class as large as the Albacores. I always enjoy your research and insights. I’m glad you enjoyed it Terry – I’ll keep the blogs and books (and free short stories) coming!